Three PEPLUM stars in one photo. José, who appeared as Mary in BEN-HUR (1959), would become a star of the genre. Virna made several films as well, mostly Swashbucklers made in Europe. And Jacques Sernas was one of the unsung heroes of the genre. 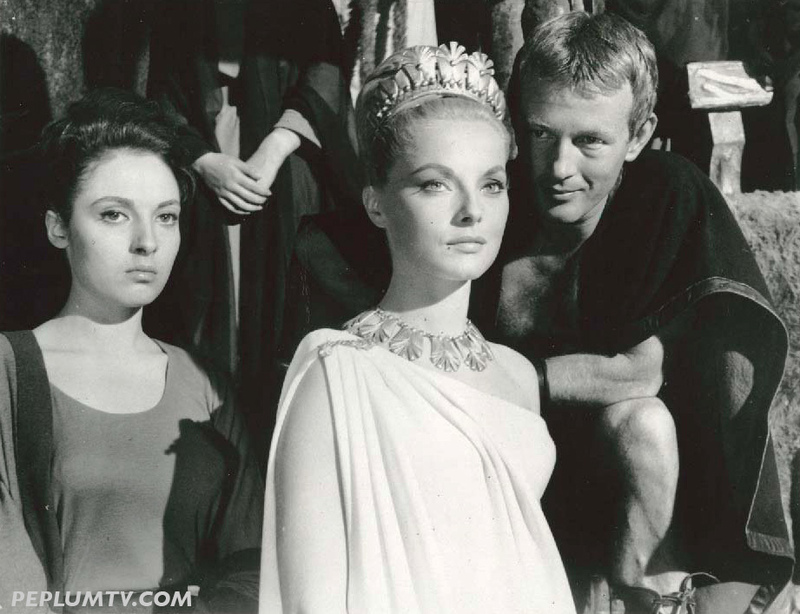 His big break was starring in HELEN OF TROY (1956), directed by Robert Wise. I love this photo. By the gods! Great photo. I've always wondered about Jose' Greci's name. Isn't Jose' a masculine Spanish name or am I missing something?